What do Justin Bieber, Adam Levine and Daniel Craig have in common? They’re all famous Pisces men, who exemplify the traits and characteristics of their astrological zodiac sign. Pisces men are spiritual, inspiring and creative. As the twelfth sign of the zodiac, they are the most evolved with all matters spiritual. If they finish your sentences, it’s because they can easily make a real, beyond-words connection with people they care about. Pisces men have a big heart, and feel their best when they’re helping someone in need. They make excellent listeners and can offer sound, insightful advice. Dual-natured, like the two fish that represent them, Pisces men are also often somewhere else in their mind – and can be looking for the next big thing. They avoid direct conflict, and instead use passive aggression to win arguments. Be careful how much ground you give them, and in times of discourse, make sure you force them to open up and engage. Are you a Pisces man? Do you know one? Share your thoughts below! What do Jessica Biel, Dakota Fanning and Kesha have in common? They’re all famous Pisces women who exemplify the traits and characteristics of their zodiac sign. 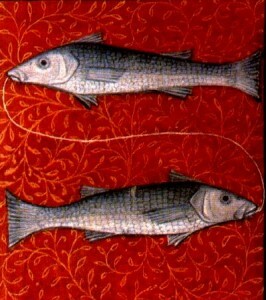 Pisces females, represented by two fish swimming in opposite directions, are dual-natured like their sign. They are often incredibly spiritual and creative, but can be at risk of being pulled in two directions, and thus lacking a solid footing in life. Pisces women have big hearts and are always willing to help someone in need. Their caring nature extends to their loved ones and partner, who they shower with affection and loyalty. Pisces women are careful listeners, who will listen to you attentively and offer insightful advice. She’s not all love and happiness, though – if she feels someone she loves is being threatened, a Pisces woman will fiercely defend them. She is incredibly sensitive, and if you don’t choose your words carefully, can be upset and insulted easily. Are you a Pisces woman? Do you know one? Share your thoughts below! Pisces, represented by two fish swimming in opposite directions, is a Water Sign and the twelfth sign of the astrological zodiac. As the last sign of the astrological zodiac, the personality traits of Pisces are more complex and evolved than many other signs. If you’re a Pisces, you might have been called an “old soul” at some point – Pisces are spiritual, imaginative but also wise beyond their years. Represented by two fish swimming in opposite directions, and tied together by a cord, Pisces are often pulled in two different directions in life. Pisces are spiritual and creative, and have a gift for detecting someone’s true feelings. They are incredibly generous with their material possessions, and are always ready to help someone in need. They are progressive and caring. Their creativity, to an extreme, can be a downfall: if you can’t hold their attention, you might catch them daydreaming!